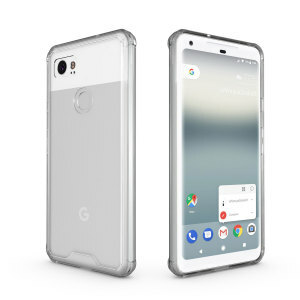 Keep your Google Pixel 2 XL safe from scratches, cracks and bumps while still keeping it looking stylish with our great range of Google Pixel 2 XL cases and covers. Featuring tough cases, wallet cases, thin cases and many more from top brands such as Spigen, UAG and Olixar. Mobile Fun has all of the accessories you need to keep your phone looking as good as new. 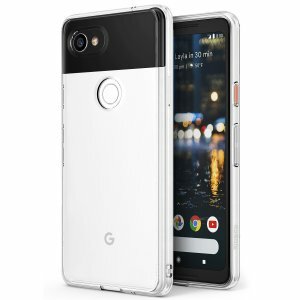 The Google Pixel 2 XL is a great phone, but its glass front and back are vulnerable to scratches. 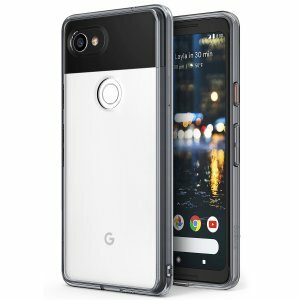 Here's what you need to know about Pixel 2 XL cases and covers! Olixar is well-known for its excellent value, providing good protection at a low cost. 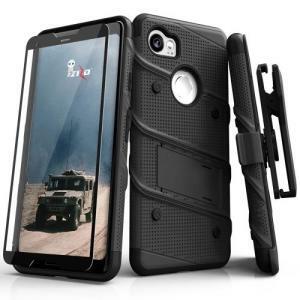 UAG is a maker of cases that look and act tough. Spigen produce a range of popular cases that mix small sizes, style and protection. LifeProof cases are expensive, but offer unmatched protection from the elements. Rearth cases have wide appeal, thanks to stylish designs and good protection. Bumper cases protect just the sides and corners of your phone, keeping weight to a minimum. 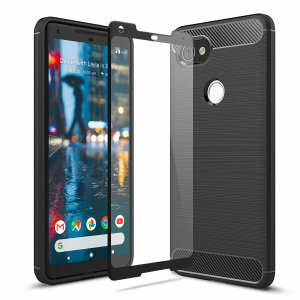 Standard cases are the most common type, and protect the back, rear and sides of your Pixel 2 XL. Folio cases use a classic book design, with protection on all sides thanks to a screen-protecting cover. Tough cases pack on additional armour for improved protection against drops, knocks and scratches. Pouches are designed to offer excellent protection while your phone isn't in use, while offering full accessibility when you need it. 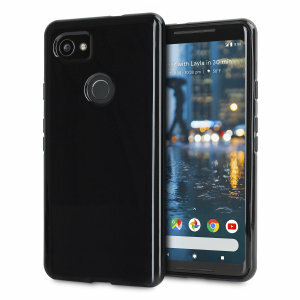 TPU / PC cases are made from soft thermo polyurethane and hard polycarbonate, respectively. These plastics are often used together for more efficient protection, but can also be used separately. These materials are common, thanks to their low cost of manufacture and wide range of options when it comes to design and colour. Leather / leatherette cases offer classic style, whether they're made from genuine leather or modern synthetics. These cases are often thicker than their plastic counterparts, and usually made in restrained colours like black, brown or wine red. Metal cases are relatively rare, due to the effect metal can have on wireless transmissions. Thankfully, clever designs can overcome this issue and provide a unique look and excellent rigidity. Wood cases are another rare option, due to the difficulty in mass-producing wood. These cases tend to be hand-made, with the price and the quality that implies. 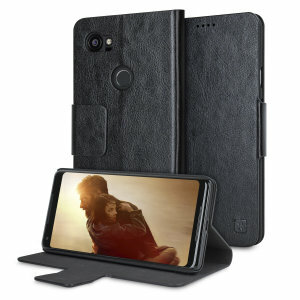 Stand cases unsurprisingly include a built-in stand, giving you a great opportunity to watch videos on the Pixel 2 XL's big screen. 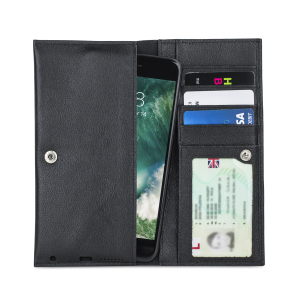 Wallet cases use the size of the XL to good effect, providing extra space to keep cash and cards. Survival cases include tools for productivity and protection in a range of circumstances, making for a highly practical choice.